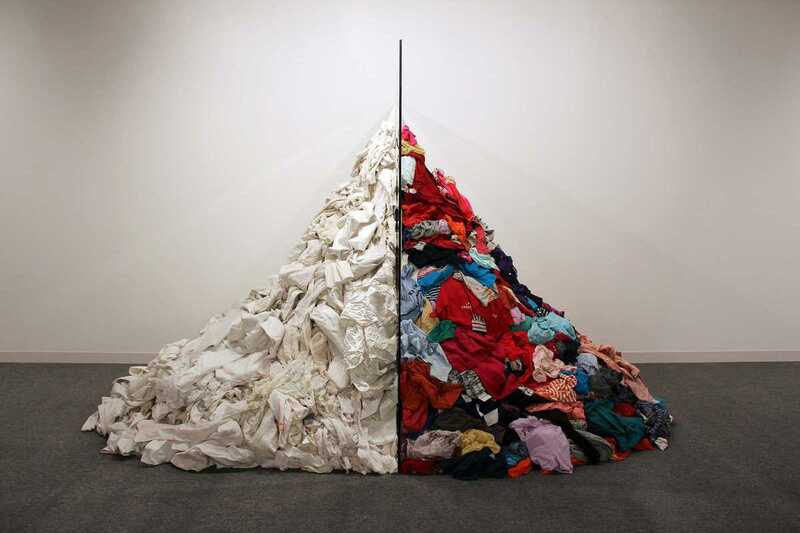 Michelangelo Pistoletto is one of the most prominent contemporary artists working today. Born in Biella, Italy in 1933, Pistoletto was a leading figure in the development of both Arte Povera (literally “poor art”) and Conceptual Art. Starting out as a painter in the mid-1950s, it was his foray into mixed-media installations in the 1960s that established him in the art world. His series Mirror Paintings received critical acclaim and provided the traction needed to get his work in front of a global audience. These works broke down the traditional notions of figurative art by reflecting their surroundings and the viewer as a part of the image, linking art and life in an ever-changing spectacle. His ongoing solo exhibition at Blueproject Foundation features a selection of works from Pistoletto’s lengthy career and showcases his evolution as an artist.